Google Fi, a mobile service aimed at consumers, is potentially one of the best things that ever happened to businesses and enterprises. I’ll tell you why in a minute. But first, I’ll tell you what’s good about Fi generally, and also what’s new. Google Fi is not for everybody — or every business. It’s an odd service, by which I mean that it’s very different. Google Fi, which launched as Project Fi in April 2015, is a mobile virtual network operator, or MVNO, which means that it rebrands and resells mobile phone services. Google Fi-supporting phones have special software and antennas that automatically switch between U.S. domestic carriers (T-Mobile, Sprint and U.S. Cellular) and Wi-Fi on the fly, depending on signal strength. When connecting to Wi-Fi, Google Fi uses an automated virtual private network (VPN) for security. The company recently added the option to automatically connect with VPN through cellular connections as well. Another benefit is international coverage. Google claims that users can automatically connect in more than 170 countries. The unique and appealing aspect of this (especially to this frequent flier) is that you get LTE speeds where available (whereas most international plans offered by U.S. carriers throttle data abroad to 2G speeds). On a practical level, this is gold. You just land in, say, India and continue using your phone like you did in Indiana. You don’t have to change or configure anything. 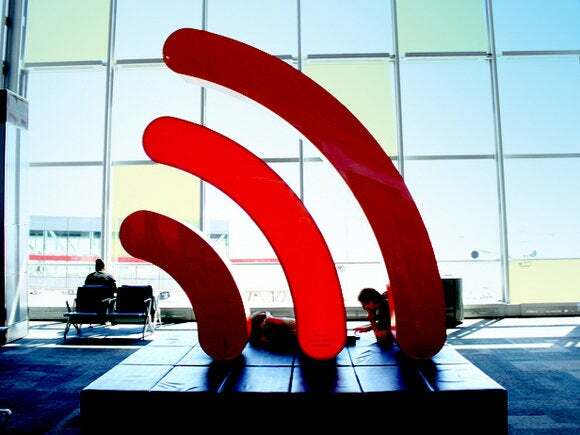 Better still, you can use your phone to set up a Wi-Fi hotspot for your laptop and other devices while you’re in India instead of rolling the dice on public Wi-Fi networks in airports, hotels and cafes. Fi costs $20 per month, giving you unlimited domestic calls and messages, plus $10 per gigabyte for data up to a maximum of $60 for the data (at which point all additional data is free via a feature Google calls “bill protection”). Data used above 15GB may be throttled to 256 Kbps, which users can avoid by waiving bill protection and paying full price for all data. Calls outside the U.S. cost 20 cents per minute. You can request extra SIM cards for your other devices. These data-only Fi cards can be used on many phones and tablets, and the data used is added to the data total you use on your main Fi phone. Google’s Group Repay feature lets you add additional people to your account at $15 per user. All the data is added together under the same pricing plan. Another great feature of Fi is control and transparency. Google Fi does not require a contract, and there are no hidden fees. You manage your Fi account with a mobile app (newly updated this week with a full Material Design aesthetic), which enables you to “pause” service, during which time you don’t have to pay for it. You can also track exactly how much time is left in the current billing cycle and exactly how much data you’ve used. The main downside of Google Fi had been that you had to own one of only 13 of phones in order to use it — or, at least, to access most of the benefits. All that changed this week. The good news is that other features are available to most or all 97 of the phones. For example, for Android phones running version 9, all Fi data can be automatically routed through the VPN. One of the best and worst trends in enterprise IT in the past decade has been the BYOD (bring your own device) movement. When mobile phones first emerged, companies wanted to issue phones to employees. But employees pushed back, saying they didn’t want to carry two phones, and the phone they did carry would have to be one that they had chosen. So BYOD. This has turned out to be a boon for employees and a rotten deal for IT departments and companies. Under most BYOD regimes, employees get to choose the phone, the carrier, the apps, the Wi-Fi networks to connect to and more — and the costs and security resulting from those often careless or ill-informed choices are IT’s problem. It’s time to change this rotten deal. Instead of a free-for-all on the employee side and a stacked deck for IT, companies should stipulate that if employees want to use their own devices, they must use Google Fi. Employees should be required to turn on the all-VPN, all-the-time feature of Google Fi, for added security (the cellular VPN is optional; the Wi-Fi VPN is both more valuable and also the default setting). Google Fi will give domestic traveling executives the best coverage wherever they go because of the automatic switching between three carriers and Wi-Fi. And it provides international traveling executives easier and better data performance while abroad, plus a secure Wi-Fi hotspot to connect to wherever they go. Google Fi will greatly reduce costs by putting the burden of managing those costs on employees. Instead of a free-for-all, where employees choose their carrier’s overpriced and underperforming international roaming plans (and then expense those costs to the company), employees will have to either justify why they’re opting out of Google’s bill protection and paying $10 per gig for 200GB of data for watching YouTube and Netflix — or they’ll have to manage their data use to avoid throttling under the bill protection plan. Google — not IT — handles the VPN. Employees — not IT — manage the costs. Every BYOD request should be a negotiated settlement, where the employee agrees to use Google Fi and in exchange the company agrees to allow access to the company network and the apps that employees need to do their jobs. This arrangement doesn’t solve all problems. For example, employees will still install malware apps. But it’s something. This idea wasn’t desirable or feasible until very recently, when Google expanded to all-the-time VPN support and widened support to 97 smartphone models. But now that it has, it’s time for businesses to get a little help with BYOD programs, courtesy of Google. This story, "It’s time for BYOF (bring your own Fi)" was originally published by Computerworld.